Get on board! “Awesome China” Subway in Nanning is so cool! 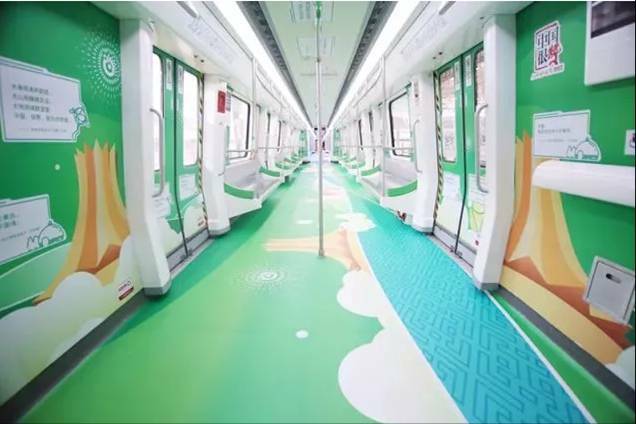 These days, subway passengers in Nanning surprisingly found out that the “Awesome China” Subway in Nanning came into operation. It has grand color and is full of all kinds of elements of Guangxi features and ethnic style. Since the activity of “Awesome China” was held by new media of People’s Daily, the whole country has participated actively in it. 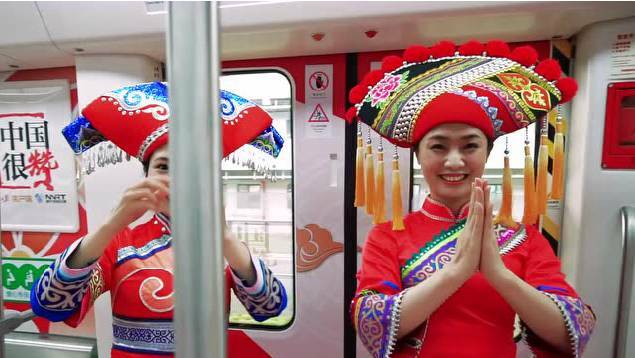 Besides the active participants in “Awesome China” MV with full of young spirit, cities such as Guangzhou and Chengdu continued to introduce theme subways. 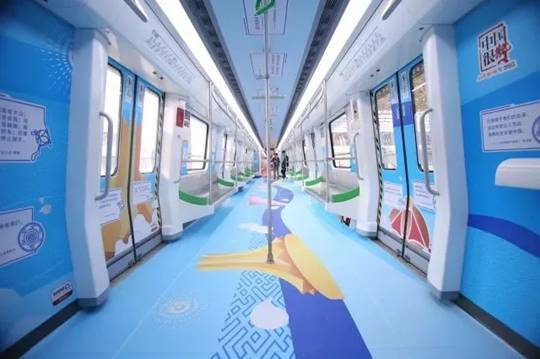 Today, new media of People’s Daily, together with Nanning Rail Transit, introduced the “Awesome China” Subway of Nanning. “Awesome China” Subway of Nanning uses the colors, namely red, blue and green, among which red stands for the color of Chinese red that is fond by Chinese people. Blue stands for the ocean. Located in Beibu Gulf Economic Zone, Guangxi is an important region where China cooperates with ASEAN, and also an indispensable link in the Belt and Road Initiative. Green stands for the hills and clean water in Guangxi, which tops in the world. Strong ethnic customs endows Guangxi with great charm. Besides, there are elements such Chinese Hibiscus Hall in Nanning’s International Convention & Exhibition Center (a landmark building), bronze drums and balls made of strips of silk representing the culture of Zhuang nationality, and dolphins. When entering the carriage, you will have cordial feeling. 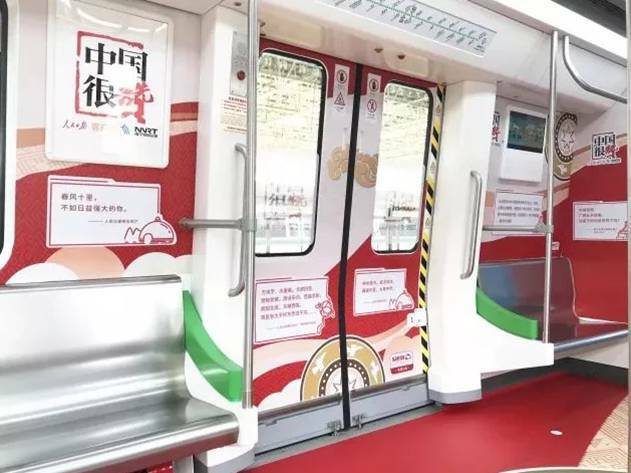 Another feature of the subway is over 300 notes of “Awesome China” all over the carriages, of which some were gathered by People’s Daily from cyber citizens and some were left by subway staff members of Nanning. All these show their love and blessing to China.